When we access the Internet on our phones — as more of us do every day — we expect to be able to go wherever we want, whenever we want. But a terrible new service plan from MetroPCS — the fifth-largest U.S. mobile phone carrier — is the latest phone industry attack on Net Neutrality. The company is limiting users’ ability to access certain websites and services, unless they pay extra for the privilege. There is a way that we can stop MetroPCS’s discriminatory practices. Last month, the FCC adopted weak rules that leave mobile Internet users virtually unprotected from these types of abuses, with two big exceptions: They prohibit the blocking of websites and competing video and voice communication applications on mobile phones. Yet that’s exactly what MetroPCS is doing. The FCC must now take action to protect the public and enforce these new rules. If the agency does nothing, we could see a domino effect in which larger carriers like AT&T and Verizon introduce their own forms of mobile blocking and discrimination. We can’t let that happen. The FCC must take MetroPCS to task before other carriers follow suit. Tell the FCC: Enforce your new rules. 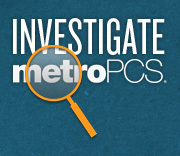 Investigate MetroPCS’s outrageous, anti-Net Neutrality practices. Mobile Internet users should have the freedom to access any sites or services they want. The FCC must respond to our concerns3, protect our online rights and investigate MetroPCS now.